Nicholas Delaney is something of a hero to me and many of his other descendants. An Irish rebel in 1798, he escaped being hung and built a new life for himself and his family in early colonial New South Wales. So it was a shock to find out that his death was tragic – possibly murdered and robbed by a man he knew. Supreme Court? Criminal? Assault? I thought. Oh, no! Then I looked again at the date. 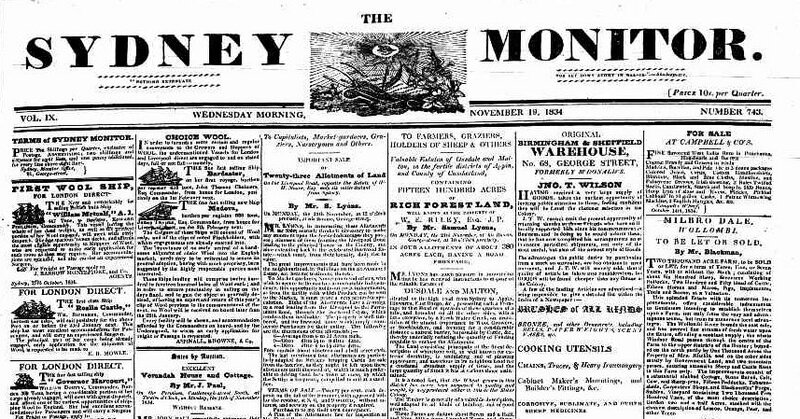 ‘2nd September’, it said, and the newspaper, the Sydney Monitor, was dated 1834. That was they day before he died. This was getting worse. Was I reading about my own great-great-great grandfather’s murder? I clicked on the article. “SUPREME COURT. – CRIMINAL SIDE. SATURDAY, NOVEMBER 15. – Before Mr. JUSTICE BURTON and a Jury of Inhabitants,” it started. Nicholas fell “into a gulley” but the two staggered on for a quarter of a mile till they took a short cut towards his house, with Nicholas falling over again. So far so almost comic. 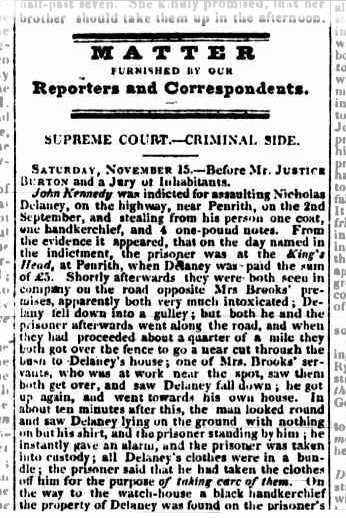 But, 10 minutes later, one of Mrs. Brooks’ servants, who was giving evidence, “saw Delaney lying on the ground with nothing on but his shirt, and the prisoner standing by him”. The man raised the alarm and Kennedy was arrested. Nicholas’s clothes were in a bundle and Kennedy claimed that “he had taken the clothes off him for the purpose of taking care of them.” How kind, you might think, but why was he nearly naked in the first place? Mr Justice Burton didn’t seem to think it was odd, though. Someone must have got Nicholas into his clothes again, though he “was unable to speak, and was removed to one of Mrs. Brooks’ huts, where he was put to bed, and slept for some hours”. Meanwhile Kennedy was searched on his way to the watch-house, where suspected criminals were imprisoned, and a black handkerchief belonging to Nicholas was found on him, “but he told the constable that Delaney had stripped to fight him.” That would be a plausible excuse for his having the clothes, but why was the handkerchief in his pocket and not with them? This was, of course, proof of theft. And, odd as it seems to us now, handkerchiefs were highly prized by thieves in the 19th century and before. Easy to hide, easy to sell, and fetching a good price, they were the favourites of Charles Dickens’ Artful Dodger. The £5 Nicholas was paid was worth a lot more. Even after a few drinks, he still had four pound notes left. That would have been a huge temptation. £4 0s 0d in 1828 has been calculated as being worth £267.00 in 2010, using the retail price index, or £2,920.00 using average earnings. So far, this has just been a story of drunkenness and an attempted robbery. But it gets far worse. “When [Nicholas] got up he missed the handkerchief out of his pocket…” so it was stolen, not given to Kennedy. So… how and why did Nicholas die? I’ll finish the story in my next post. (Sorry! But otherwise it would be just too long.) But I’m thinking I should put that black handkerchief on my head and pronounce sentence on John Kennedy. I’d planned to write this post to coincide with the anniversary of Nicholas’s death, but my own mother’s death meant that life has become a bit hectic and unpredictable. So I’m extra grateful to Amy from Branches Leaves & Pollen for coming up with the idea of Trove Tuesday posts, which celebrate the wonderful resource for genealogists and historians of Australia provided free by the National Library‘s online resource, Trove. It’s been a real incentive to get on with blogging again. This entry was posted in Nicholas Delaney and tagged Delaney, John Kennedy, Justice Burton, Murder, Nicholas Delaney, Penrith, Sydney Monitor, Trove Tuesday. Bookmark the permalink. Hi Mark, thanks for getting in touch. It’s always exciting to meet a cousin. I hope you enjoy finding out about Nicholas – I certainly do. and the next thing was…. ?????????????? I know – it’s a bit painful, but our ancestors’ lives were often tragic as well as inspiring, as we discover when we dig deeper. What an amazing story …I’ll bet your jaw dropped! 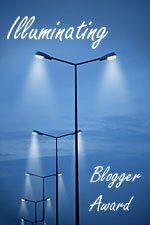 It’s great to see you back blogging again and with such an awesome story. Roll on Part 2. Will the judge have common sense I wonder? Thanks for your kind words! My jaw rolled across the floor and under the table. As for the judge… well, all will be revealed. Hi, Michael, this one got through and a huge thank you! This is pure gold. Is it OK if I use some of the document in a later post? what an amazing find Frances! I know – it took my breath away. What a great find, but so sad. Looking forward to the next instalment. Thanks, Fi. It’s genea-gold but, as you say, really sad.